The owners stated that there used to be 4 tombstones, those of 2 adults and 2 children. The tombstones of the 2 children were stolen in years past. This graveyard is on private property, and there is no trespassing requested. 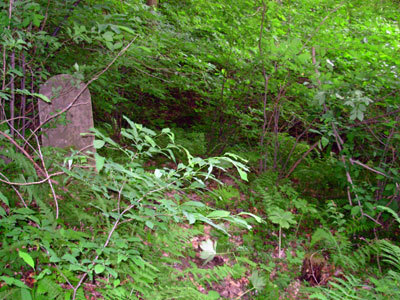 This cemetery is located in the rear of 120 Hollow Road in the woods behind the home.